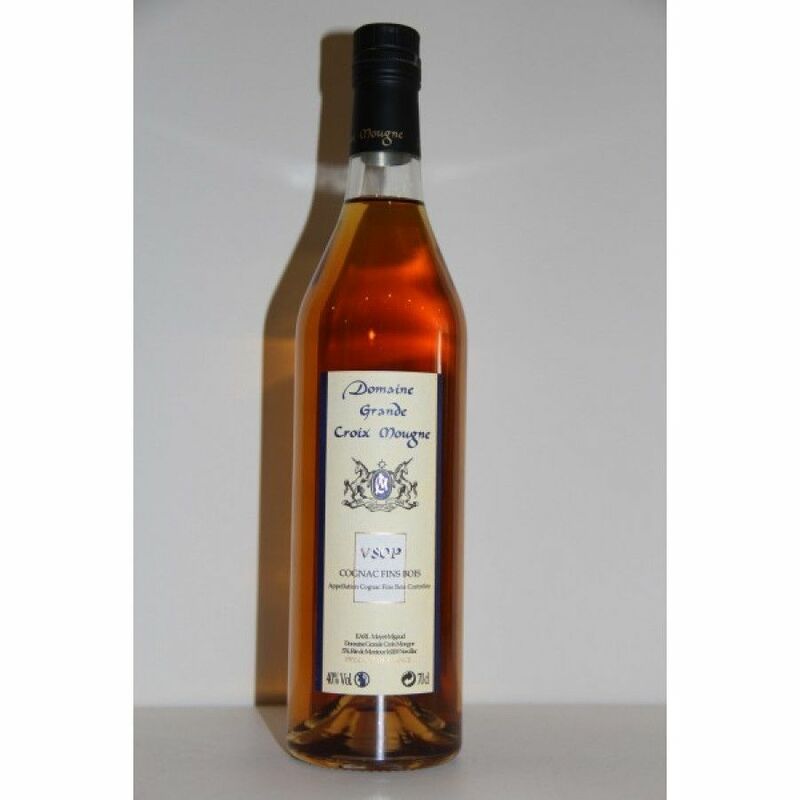 The Domaine Grande Croix Mougne VSOP Cognac is one of a small range produced by this artisan house. Made solely from Fins Bois eaux-de-vie, it's a versatile cognac that can be enjoyed in many ways. Ideal either as an aperitif or a digestif, it can be sampled neat, or perhaps over ice or even with a mixer to create a cool long drink for hot days. The house of Grande Croix Mougne prides itself in producing cognac whilst working in harmony with the land and surrounds. The knowledge and know how that go into creating todays cognacs has been handed down over seven generations, and today their products are created in the same manner as that which were used by their ancestors.